There's still a lot of confusion and controversy about whether it's best to transfer embryos on Day 3 or Day 5, especially in India. While most IVF clinics all over the world have progressed to doing blastocyst ( Day 5) transfers, many Indian IVF labs are still lagging behind, and lots of them still prefer doing Day 3 transfers - and some still continue doing obsolete Day 2 transfers. This is not in the patient's best interest. The justification these doctors use is that the uterus is a better environment for the embryo as compared to the laboratory . They claim that if we have a good-quality embryo on Day 3 , then we should transfer as soon as possible. If it's going to become a baby, then it will do so , so why keep it outside in the incubator when it's safer inside the uterus ? This is flawed thinking because the reality is that the best place for a day three embryo is not the uterus - it's actually the Fallopian tube. Putting it back in the uterus is not good for the embryos. In a good IVF laboratory, the best place for the embryo is the IVF lab rather than the uterus. The uterus is the right place for the embryo only when it has reached the blastocyst ( Day 5) stage. This is why all good labs prefer doing Day 5 transfers ! However, the problem is that many Indian IVF clinics have poor-quality IVF labs, with a poor rate of blastocyst formation. Because they are not willing to be honest with their patients, they make up all kinds of fairy tales that a Day 3 transfer is as good as a Day 5 transfer. Now it's not that you don't get pregnancies after Day 3 transfers - it's just that the pregnancy rate is much less as compared to Day 5 transfers. The problem is that in India it's easy to fool lots of patients a lot of the time, because patients are not well-informed and assertive. The problem with these bad IVF clinics is that they know that their labs are not very good . They don't have much confidence in their ability to grow embryos to blastocysts, which is why they start taking shortcuts. Now, if you have a bad-quality lab, then I think it makes sense to put Day 3 embryos back in the uterus, because if you leave them in the incubator, they may arrest in vitro, and not form blastocysts, because the embryologist is not skilled or experienced. However, you must understand that this is a compromise. If you are going to a good-quality IVF clinic lab, then make sure that you insist on a day five transfer. This is better for everyone. One of the fears patients have is that their embryos may look fine on Day 3, but they may not form a good-quality blastocyst on Day 5. Yes, this can happen even in a good lab - for example, in older women , or women with poor ovarian reserve, but this is actually very valuable information because it help us to diagnose that there is a problem with egg quality. We know that the energy for embryo cell division is provided by the mitochondria which are in the cytoplasm of the egg. Today, there is no test to check the quality of these mitochondria, which is why the ability of the embryo to divide well and form a good quality blastocyst in the laboratory gives us such valuable information as to the functional competency of the eggs. If you put in a Day 3 embryo and the patient doesn't get pregnant, we are never sure what the problem was. Was it that the embryo failed to continue to develop further? Or, was there some other reason? The patient remains in the dark after suffering the horrible two-week waiting period . She is no wiser and doesn't know what to do differently the next time. The problem is that when many Day 3 transfers fail, the doctor then conveniently labels the patient as having a recurrent implantation failure , whereas the truth is that the failure is because of poor-quality IVF lab conditions. A poor lab creates suboptimal conditions , which stress the embryo, and cause it to stop growing after the transfer, because they have been subjected to needless insults in vitro because of inexpert handling by the embryologist. These are the patients who are then told to go in for surrogacy ! This is absolutely the wrong choice for the patient , but is far more profitable and remunerative for the clinic to offer this option. An IVF cycle can provide invaluable diagnostic and prognostic information, and the best way to get this is by insisting that all embryos be grown to day five before they're transferred . This offers a lot of clarity, and reduces doubt because you can see the quality of your blastocysts for yourself . What happens if you're stuck with a bad IVF lab? This is truly tragic, because you have reduced your own chances of getting pregnant. This is why you need to do your homework in advance, and make sure that your clinic does only blastocyst transfers . 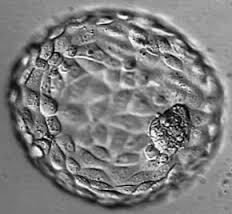 While it's true that if the embryos arrests in vitro before forming a blastocyst, this can be heart breaking, because we then don't have anything to transfer. However, if it does arrest, it gives us useful information for planning your next cycle. Why do doctors subject IVF patients to such rubbish ? 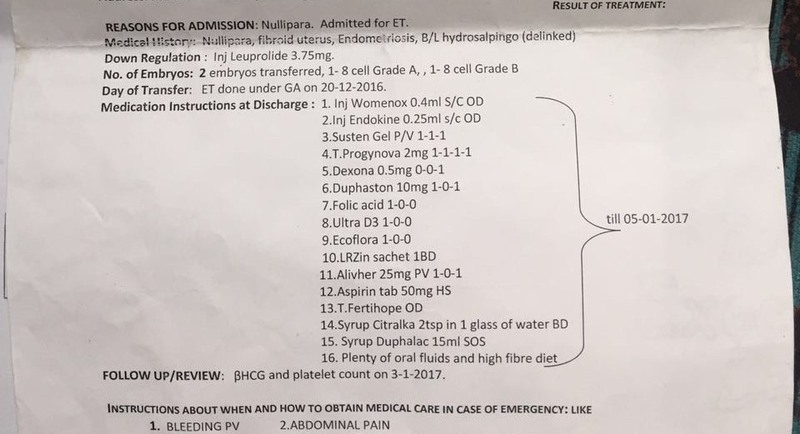 These are the medications a reputed IVF clinic puts all its patients on routinely after embryo transfer. A text book example of irrational prescribing and polypharmacy ! No wonder patients get fed up of doing IVF treatment. Entrepreneurship has become fashionable and the startup space has become hot . It you're young and ambitious, you no longer just want to work for a large company - you would rather become the founder and CEO of your own company . All this is fine, but the question is, "Can you actually teach entrepreneurship? Is it possible to create entrepreneurs? Are entrepreneurs born, or can they be made ?" The startup space has become the newest bandwagon , and everyone wants to get on. This is why you see lots of incubators and accelerators , which promise to teach young founders how to become successful entrepreneurs. Even the IIMs have got into the game , and have started offering courses on learning entrepreneurship. These are also available online, from leading universities such as Stanford. This brings us back to the question, "Is entrepreneurship something which can be taught?" I think it's a bit like leadership. It's one of those intangible qualities, where everyone wants to create leaders , and everyone wants to be a leader themselves, but is it possible to actually teach someone how to become a leader? It's not that people haven't tried ! There must be at least a thousand books on how to become a leader , lots of whom have been written by icons who've been leaders themselves. However, I don't really think reading books, attending MBA courses or attending workshops will helps founders to succeed. The only way to learn is by experiencing the daily grind of a startup, so you understand the ups and downs you will have to cope with daily. It all looks very rosy from the outside, but the reality is far grimmer. Yes, some people who graduate from accelerator programs will become successful entrepreneurs, but often this could be in spite of the training - not because of it. The best training is still the 'School of Hard Knocks' - and if you want to be a successful entrepreneur, plan to work for a startup , and then start up you own once you are confident you will be able to survive the emotional roller coaster ride. I believe entrepreneurship cannot be taught, but it can be learned - and when the student is ready, the teacher will appear ! When the traditional value investor looks at the financial statements of e-commerce companies such as Flipkart, Amazon, and Snapdeal, he's forced to rub his eyes in disbelief. Even though these companies are burning cash and losing money hand over fist, they keep on spending on advertising in order to acquire new customers. This seems to defy all business logic. They are actually losing money on each order, and yet they want to acquire even more customers so that they can continue losing even more money? What business sense does that make ? When is this madness going to end? Do they ever plan to make any money? How and when ? Sometimes you feel as lost as Alice in Wonderland must have been. If these CEOs are able to raise millions of dollars from VCs , they must be very smart, which means there must be something in the big picture which you are missing. After all, the mysterious ways of VCs who distribute millions of dollars are beyond your limited comprehension . This is why the average observer is forced to conclude that what's happening in this space is beyond his understanding. We all agree that VCs are the financial wizards of the world , and are much smarter than you and me. They must see value in these companies, which is why they continue funding them. The standard explanation is - " this time it's different" - famous last words which older investors have heard many times in the past . However, sometimes you wonder whether the Emperor has any clothes . This is especially true for senior citizens, who heard very similar stories during the internet dotcom boom days. In one sense, the dotcom bust validated some of their concerns, and they can't understand why VCs have such short memories , and why they are willing to make the same mistakes all over again. Perhaps this is because this is a younger set of VCs, and institutional memory is short . The problem is that most of these companies are copy and paste clones who don't have much of a moat. Because they are fighting so intensely for the loyalty of the small fraction of wealthy Indians who can afford their services, they're bleeding to death competing with each other. I'm not a fortune teller, and I can't predict when it will end ; or who remain standing once the circus stops. Obviously, the survivors will do well. However, even this is not guaranteed, because the moment you become the dominant player, there will be a new cohort of startups who will come and challenge you - this is what keeps the cycle of creative destruction going. The winner in these battles was the Indian consumer , who benefited as a result of all the freebies and the cashback offers which these companies offered. Effectively, we have seen a net transfer of wealth from the VCs to the smart cost-conscious Indian consumer hunting for bargains. This is not sustainable, and something has to break. When it does collapse, then we can all look wise and say, "I knew this was going to happen" , and " I told you so ! " The bottom line is that companies cannot afford to ignore unit economics and profitability for ever. While gimmicks such as full page ads and discounts can fool some of the people some of the time, they will not allow us to create a sustainable business. Part of the problem is that this is such a hypercompetitive space that it's easy to find a greater fool, which is what allows VCs to keep the valuation game going . When it reaches unrealistic levels, it's a question of waiting to see who comes to their senses. However, because there is so much money at stake , VCs will wait to see who blinks first in order to protect their reputation, rather than acknowledge they made the wrong bet. They are riding a tiger from which they can't get off. So was all this VC money wasted ? While some VCs will lose money, they are big boys who understand that this is part of the game , and they will bounce back. The good news is that this funding has had salubrious effects on the Indian economy. It introduced lots of Indians to the convenience of online shopping , and because it made digital payments popular , the government now finds it easier to get citizens to move towards a "less-cash" India. The companies also catalysed the creation of a robust supply chain, which delivered goods reliably to people living in Tier 4 cities. Finally, they have helped to stimulate the growth of the startup ecosystem in India . Thanks to the media adulation the founders of these companies received, they have become heroes for the young, who now aspire to follow in their footsteps - they have made entrepreneurship fashionable ! Every startup is an experiment and the reality is that most of them fail. This is because they're complex systems with multiple moving parts, all of which have to work properly to make sure that the company continues to grow. This can be extremely challenging for the founder, who has to juggle multiple balls , and make sure he doesn't drop any of them. This is daunting task, because you need to learn on the job - which is why it's very hard to know whether you're on the right track or not. Are you chasing the right customers ? Is your product delighting them ? Is your competition catching up with you ? Will you be able to find investors to fund your next round ? It can be extremely hard to track all this stuff, especially when there is so much uncertainty , and it's easy for things to fall between the cracks. Because there are no pat formulas you may find yourself disagreeing with your investors - for example, if you should go international , or whether you should stay in India. The only way to find the right answers is to run low-cost experiments, and track the results, so that you become progressively smarter. This is why tracking the key metrics is vital - so you can quickly see if you are on the right track or not. Most founders use Excel to monitor their company's vital signs, but a dashboard can be much more helpful. The secret is to follow open management principles, and keep an online dashboard which is accessible to everyone . This way, all employees can see how the company is doing; how it's progressing; what their personal contribution is; and what they need to do to make sure that the company continues to grow. It's far better to put it all out in the open, even when things aren't going well. You may be worried that this will affect morale, and that your staff will quit, but the truth is that most of them can sense when the company is doing badly, and they are already worrying anyway. It's far better to acknowledge this, rather than try to hide the truth from them, because this just makes matters worse. Being open about it will help to dispel rumours and gossip; and will reassure them that you have a plan of action to deal with the crisis. Even better , it will bring them all together and help them to pitch in , so that you can tackle the problem as a united team - there is strength in numbers , and employees should be empowered to provide solutions ! The dashboard should be simple, and should focus only on a few key metrics. You need to define what these are, because they will vary from company to company. You will also need to modify them as your company evolves. The beauty is that a dashboard creates a sense of ownership amongst all your staff. As a CEO, your dashboard allows you to check how you've progressed; and whether you're headed in the right direction or not. You can set up access privileges, so if there's some information which you think is confidential (for example salaries ) , then you don't need to put that up on the publicly accessible dashboard. Even better, a dashboard allows you to share information with your investors proactively , without your having to do any additional work. They will be happy to provide support and insights when they can see you are treating them as partners in your journey. A dashboard can be a very useful tool, and you should explore the available options. The standard is www.geckoboard.com, and there are many inexpensive alternatives as well , such as http://finalboard.com/. You can use also the open source JSlate code at https://github.com/rasmusbergpalm/jslate to create your own free customised dashboard as well. As a startup founder eloquently said, " Without a dashboard, running a startup is like flying a plane through fog with no instruments. " Life as a founder is hard enough as it is - why handicap yourself even further ? The general perception is that doctors are extremely hard working. Most patients both admire how busy doctors are and resent this as well - especially when they have to wait for hours to see them. Because they are so rushed, they don't have enough time to listen to their patients, or to explain the basics properly to them. Most doctors seem to always be running around from clinic to clinic, and hospital to hospital . Even a doctor's own family members resent the fact that his life is so stressful because he always seem to be on the go, and is on call 24/7. While it is true that good doctors are extremely busy because there's always going to be a lot of demand for skilled doctors, the fact of the matter is that one of the reasons why many doctors are so overworked is because they don't manage their time very well. It's true that some of these problems are out of the doctor's control. Thus, if you work at a government hospital where you need to see over 200 patients in the clinic in 2 hours, you really don't have a choice , because you have to see all of them. However, sometimes these problems are self-inflicted. This is especially true for doctors in private practice who run around from one clinic to another , simply in order to maximize their income . They are very competitive, and want to set up clinics in many different suburbs, because they feel they need to go to where the patients are in order to grab patients from other doctors. This is why they spend so much time stuck in traffic, commuting from one clinic to another. What a waste ! Instead, if they chose to focus on just one clinic and waited for patients to come to them, they wouldn't be so needlessly " busy" because they wouldn't be wasting their precious time. Not only would this be much better for them, it would be much better for their patients as well. A happy, contented, stress-free doctor is going to be far more compassionate and empathetic than one who's running around all the time. This is something which doctors need to learn - how to say no. They don't have to keep on seeing more patients every single day; and they don't need to compete with their colleagues to find out who's the richest or the busiest. They need to be able to find the right work-life balance, rather than participate in a mindless rat race. Even in a government hospital, the doctor needs to learn how to delegate, so that his juniors can screen patients. Part of the problem is that most doctors are not good team players. They feel that they have to do everything themselves, as a result of which they end up micromanaging their staff, and doing stuff which ideally they should be getting either a junior doctor or their secretary or their receptionist to be doing. It's not necessary for a doctor to do everything himself from A to Z. The administrative tasks - for example, issuing receipts; collecting payments; giving appointments; and doing follow up calls are best entrusted to a junior doctor or an assistant. This will free up the doctor's precious time, so that he can focus on doing the one thing which he does the best - taking care of his patients. This unproductive use of his precious time ends up hurting him as well, because he feels professionally unfulfilled. This is one of the reasons burnout has become such a huge problem among doctors today. The truth is that a lot of their work is just "busy work" , which they shouldn't be wasting their time doing, because it's best done by someone else on their team. Sadly, doctors continue getting away with their inability to manage their time properly, because their patients put up with this. Let's not forget that doctors can make patients wait for hours on end only because their patients allow them to do this to them. If all of them refused to accept this disrespectful waste of their time, the doctor would be left with no patients to see, and he would be forced to improve his behaviour very quickly ! The good news is that doctors can use technology intelligently in order to make sure that the time they spend with their patients is utilized effectively. Instead of being extremely busy and accomplishing very little, they can use their time productively, efficiently, and effectively. There are lots of productivity and time management tools which will help them to do so , but unfortunately most doctors don't learn how to use these. When we meet him there was no looking back. There so much positivity in him that he gave us a positive outlook towards our entire situation which we were stressing about for 2 years. We decided to take our IVF treatment from the him immediately. Today I am happy to announce that I am carrying a beautiful baby in my womb. All thanks to Dr Malpani and his team who have always been upto the mark with the entire treatment, followed up so well always guided me right and took care of all our needs promptly. Constant follow up was done even after the procedure. Lastly all I can say is they took utmost care of me and made me very comfortable. Thank you Sir, You truly are a blessing ! 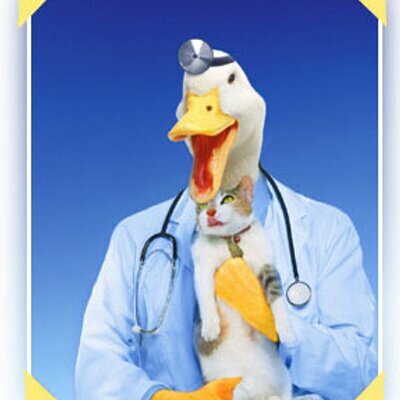 When we think of quacks, we think of unqualified doctors holed up in dingy rooms in slums and villages who give colourful injections, herbs , placebos and potions to illiterate patients . 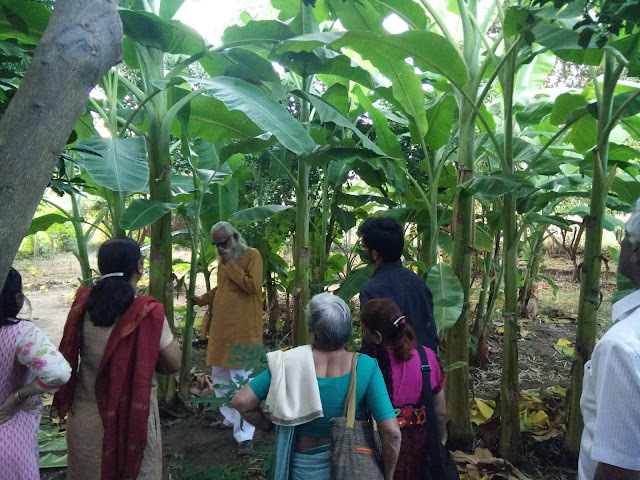 We believe that it's easy for them to fool illiterate poor patients, who don't know any better; and that we are safe, because we go to sophisticated doctors who practise in gleaming 5-star hospitals. However, quackery is far more prevalent than you realise, and lots of highly qualified medical specialists engage in quackery as well. They label it " cutting-edge treatment" , but the truth is that a lot of things which many specialists prescribe do are not scientifically sound. They are not based on evidence-based medicine, and are really quackery in disguise, because they remain unproven. Just dressing it up in medical jargon doesn't change anything ! They take their patients for a ride by telling them that this is the newest and latest advance, which is why other doctors do not prescribe it - the impression being that other doctors are hopelessly obsolete and clueless. They harp on the fact that this is the most modern technology, without explaining to patients that it has never been subjected to controlled clinical trials ; and never been documented to be useful by objective medical professionals. Lots of IVF specialists use their patients as guinea pigs, in the sense they base their treatment plan on personal anecdotal success stories. Because patients are very emotionally vulnerable, they don't ask too many questions. Most are scared to challenge their doctor, and they pretty much toe the line blindly - after all, isn't their doctor a world-renowned expert ? He knows what he is doing, so aren't they supposed to do what the doctor tells them to? Sadly, this unquestioning trust often backfires. We've seen many patients who have wasted years of their life on toxic anti-TB treatment for " endometrial tuberculosis" ; have had unnecessary surgical procedures like a hysteroscopic metroplasty performed on them to correct an uterine cavity whose shape is slightly different ( but is completely normal) ; and whose husbands have taken all kinds of treatments for improving their sperm count. These "treatments" don't work - and actually reduce their fertility, because they end up wasting their time, money, and energy. They no longer have any confidence in any IVF doctor because of their bad experiences. This is why so many IVF patients have such a poor opinion about IVF clinics. It's not just the fact that their IVF treatment failed - it's that a lot of it was done without adequate counselling or explanation . When they finally get around to seeking a second opinion , or doing some independent homework for themselves on the web at reliable sites such as the Mayo Clinic website, they realize that they were subjected to lots of unnecessary, very expensive treatments which were never called for in the first place. What really upsets them is that the doctor not share the truth with them. If the doctor had been upfront and honest and said, "This is experimental treatment which has not been proven, but I've had good success rates with it, which is why I think it's worth trying," then that's completely different. Sadly most IVF doctors don't have the time to explain things properly to their patients. They tell the patient what they do, and they expect that the patient will obey them blindly, without asking too many awkward questions. This is why IVF quackery continues to flourish. Yes, you should trust your doctor, but please verify from independent sources whether his advice is medically sound - you have too much at stake !